Avoid eating after 6pm. Letting our gut rest and rejuvenate through the night allows for more energy and clarity. Taking a probiotic daily encourages friendly bacteria. 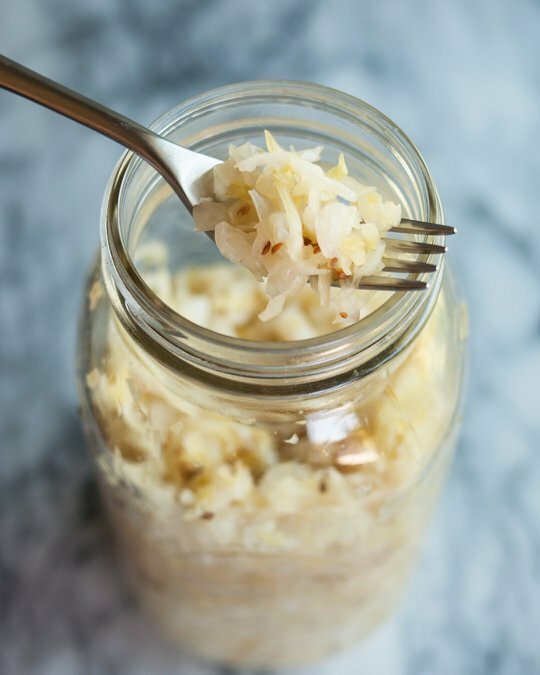 These fermented foods keep our gut flora healthy. Source the free range, grass fed, organic meat and poultry. Eat a variety of nutrient-rich vegetables. One rule of thumb is to vary the colour of these vegetables because each kind contains different types of fibres which feed the microflora. Cruciferous vegetables including broccoli, califlower, bok choy, cabbage and kale contain lots of fibre and antioxidants. Spices and herbs including tumeric and cinnamon offer powerful healing properties to the diet. Fruit and berries need to be consumed in moderation. Choose ones with a low glycemic index such as blueberries. Avoid all processed meats containing nitrates and fillers, including hotdogs and pre-packaged sliced meats. Avoid all processed grains, artificial sweeteners and white sugar. Maple syrup and honey in moderation. Drink lots of water. Avoid soft drinks and caffeinated drinks. Do not overeat, as this stresses our detoxification system. Every culture has fermented foods. Here are but a few.